Mulan is Disney's 36th animated feature, and the first one to be made entirely at Disney's Florida Studio which had been used for developing segments of each feature length film since Little Mermaid and would continue to produce work for future films until Lilo & Stitch in 2002 when it closed. Since the movie was based on the Chinese poem of the same name, a group of artists from Disney travelled to China for inspiration and cultural and artistic references for the film. 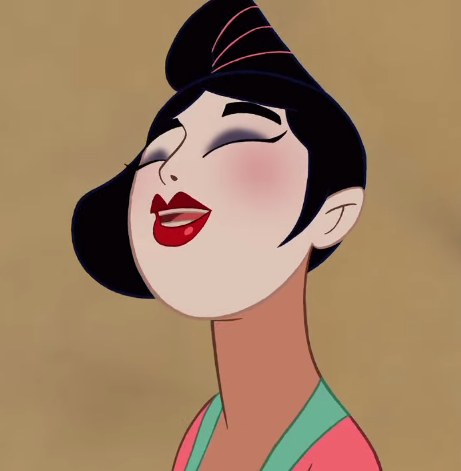 But even with all the references gathered from this trip, finding the perfect style for Mulan was very difficult. Some artists even worked on the film for 5 years. Since there wasn't a specific style that artists wanted to follow (like Gustaf Tenggren in Pinocchio or Gerald Scarfe in Hercules) the team tried a lot of different things before settling on the final style. In the end what we have are incredibly beautiful backgrounds and environments that support a group of great characters. 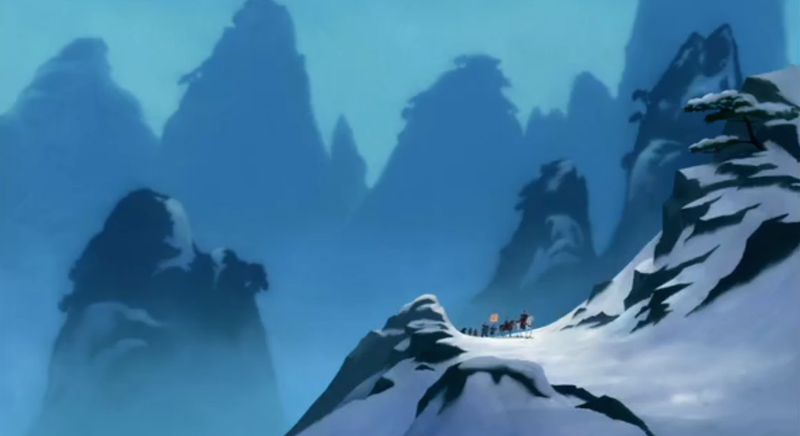 The backgrounds were designed by Hans Bacher, an amazing artist who turned the simple yet beautiful environments of Chinese art into epic landscapes that give the story so much greatness. If we look at each scene we can really se how the environments are monumental yet very simple. With very little details, the backgrounds support perfectly what is really important in each frame: the characters' actions. 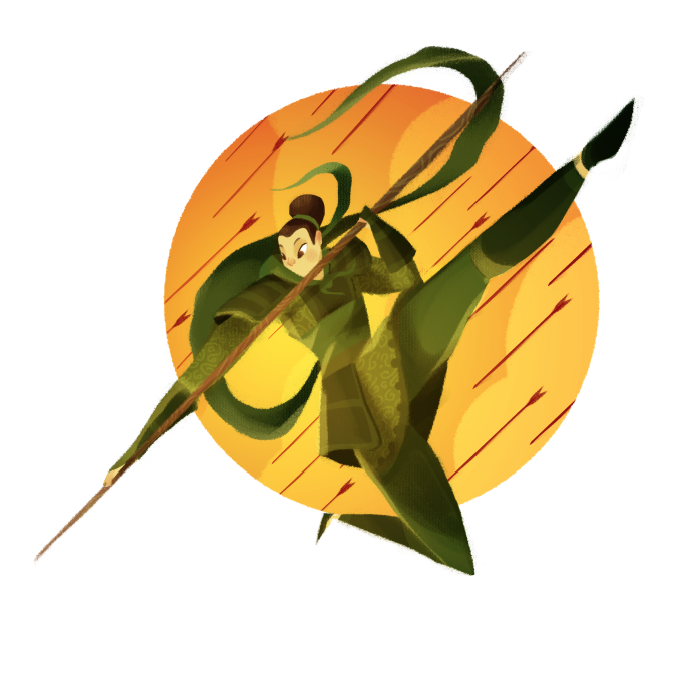 The characters were mainly designed by Chen Yi Chang, a newcomer at Disney who, inspired on Chinese characters and the very elegant S shape of Chinese design, created a great variety of amazing characters. 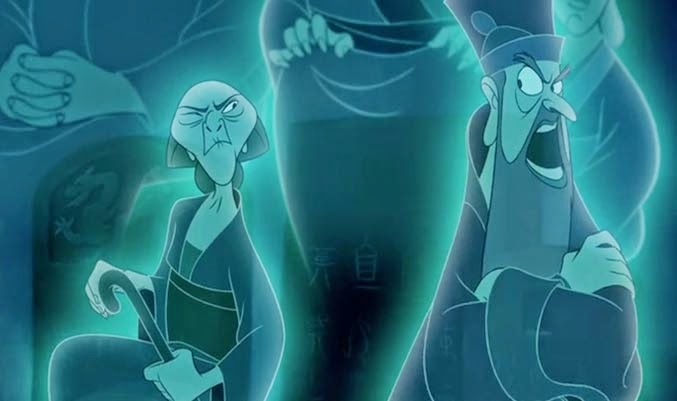 Throughout the movie we find characters that seem identical to those in classic Chinese paintings, like the girls from the matchmaker scene. And then we find really cartooney characters that look entirely different, but in the end go really well with the films overall style. 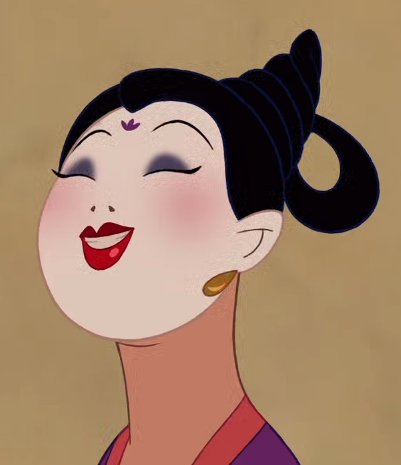 Another thing that makes Mulan so great is the music of the film. As always, Disney created some incredible songs written by Jerry Goldsmith that help the story grow.